What kind of eyebrows do you have? Do you have thick and unruly eyebrows like mine? If yes, then you should consider using pomades for your eyebrows. Pomades can tame your eyebrows with its formula. I am so glad that Maybelline New York came up with a pomade based eyebrow product and they made it easier by making it in the form of a crayon. This product is called Fashion Brow Pomade Crayon and I will review the shade Mocha. Are you curious? Let us check it out! The packaging that contains the crayon is retractable making it easier to use the product. The crayon is small and easy to bring when travelling. The crayon has a smooth, soft and creamy formula that makes it easy to sweep over the eyebrows. It was able to sculpt, tame and color my eyebrows. The sparse areas of my eyebrows were also filled in. The formula is easy to blend even without the use of spoolie. I was able to leave it as it is after application. It has a light to medium coverage but in my case, one to two layers of application is enough. Using this Pomade Crayon saves me time and I use it on days that I need to apply makeup pronto! The one thing that I like about this pomade crayon is that it looks like your natural eyebrows. The crayon is hard to use for the eyebrows' edges or thin lines because the tip is not sharp enough. 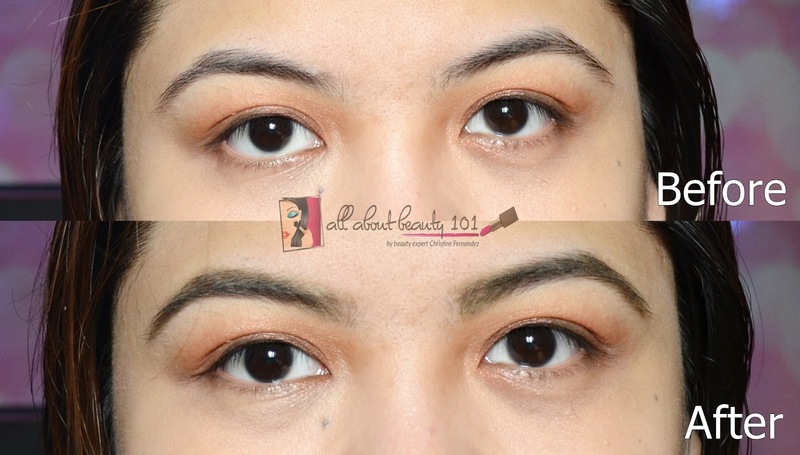 So I suggest that you use a pencil or eyebrow pomades that needs a makeup brush for lining the arches. The crayon cannot be sharpened so time will come that it will flatten. When the surface is flat instead of pointed, it will be harder to do a precise strokes in our eyebrows. As promised, I will be giving away a very nice Maybelline set this month of July! Get this wonderful Maybelline Fashion Brow Set by joining my Rafflecopter Giveaway for the month of July! I will carefully check each entry so make sure to follow the instructions. Good luck!